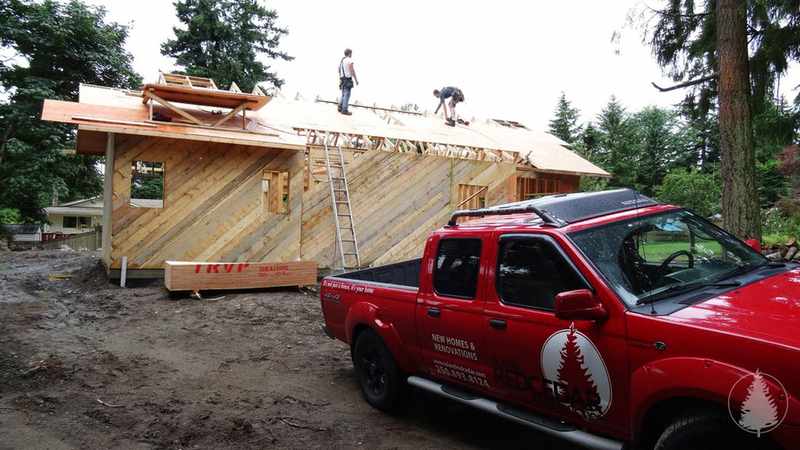 Reynolds Road — Island Red Cedar Construction Ltd. 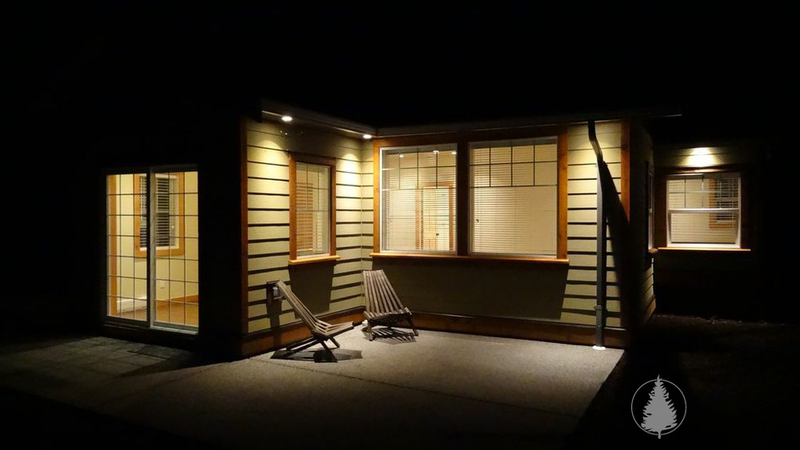 This 980 square foot cottage was the first full-scale build for Island Red Cedar Construction and on all accounts it was a big success. 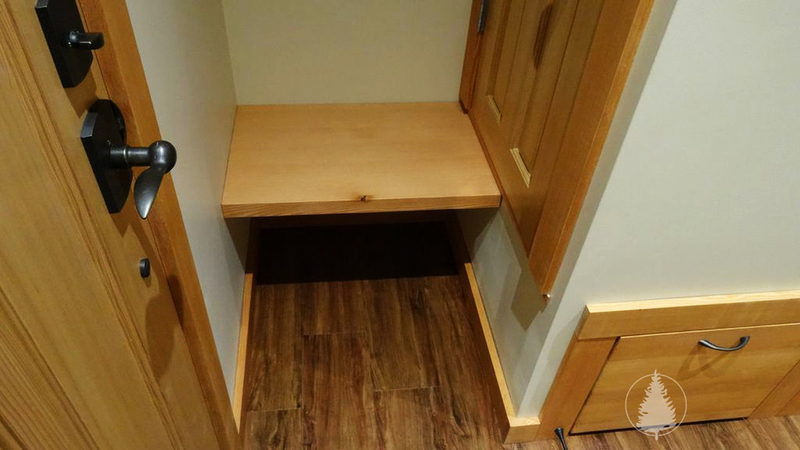 The homeowners wanted a small, well laid-out space on one level that could be used as a rental in the immediate future and as their retirement home in the long-term. Using a very functional plan from Jack Anderson of GreenPlan Designs©, we were able to create a bright open plan living space with two bedrooms, two bathrooms, and lots of storage. Being that this would eventually be a retirement cottage, we added some extras like a walk-in shower that will be able to accommodate a walker, backing within the walls to allow for graspable hand rails, one-level living with no steps out to paved walkways and large covered entryways, as well as a single zone heat pump and LED pot lights for low cost heating and lighting equating to long-term savings on their electricity bills. Having been involved in previous builds, the homeowners were very knowledgeable about the process and we were able to work closely with them throughout the build. We also took advantage of building materials that were milled on their property as well as their skills in painting, floor laying, and other areas of the build. Keeping sustainability in mind, we were also able to make good use of recycled materials from a local salvage company including milling down some old growth Douglas Fir beams from a local island school that was being demolished and turning them into some beautiful custom trim for the interior of the house. 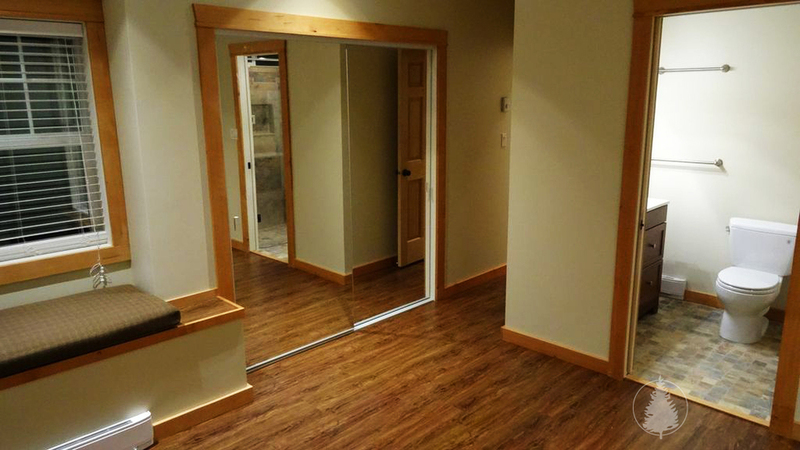 This was a very rewarding build for all concerned and a great inaugural first home for Island Red Cedar Construction.